The Hogranch play a range of Bluegrass and Americana with self penned numbers forming a significant part of what they are about. 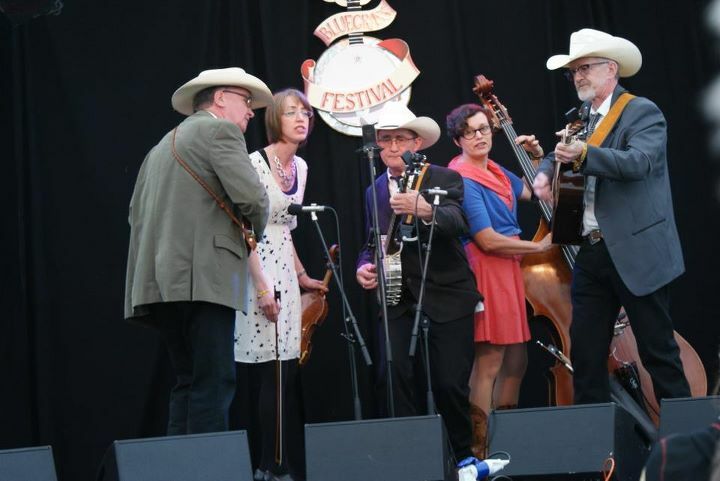 They have been together for about six years and have performed at most of the UK’s Bluegrass festivals in their time. The band recently visited the USA together where they got to play in the Rockygrass band competition. They are currently recording their 1st CD containing all original material written by the band. Sean Hogan – Banjo, Vocals, Guitar – Sean ‘Hog’ Hogan has played with a myriad of talents around the southwest playing a hard driving banjo to rival the best. He lends his extensive repertoire to the Hogranch to call on contributing to the eclectic mix of songs that make the band unique. Bob ‘chilli’ Pepper – Mandolin, Vocals, Songwriting – Bob trills and spills his mandolin throughout the bands song list and writes the occasional tune too, adding the high tenor to the harmonies which are the bands trade mark. Deb Howard – Double Bass, Vocals – Every ship needs an engine room and Deb keeps the band on course with metronomic precision and haunting bowing as well as the 4th harmony.